Active Components > Radar Inc. In an electrical, computer or storage system, active components are those that require electrical power to operate. This could include the power supply, fans, storage device, transistors, diodes and other integrated circuits but would exclude system components such as capacitors or resistors that do not require electrical power to operate (called passive components). Radar Inc offers a comprehensive variety of diodes including transient voltage suppression diodes or TVS diodes, Zener diodes and Schottky diodes as well as rectifiers including bridge rectifiers. 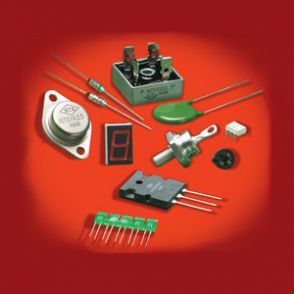 We also can provide a wide selection of mosfet, thyristors, and other transistors including triacs and an array of semiconductors and voltage regulators. Radar Inc is an authorized distributor for the manufacturers of active components listed below.